Your Kitchen is More Than Just a Place to Prepare Food. There was a time when kitchens pretty much had a single purpose: Food preparation for the family. As a result, they were no-nonsense rooms tucked away at the back of the house and cut off from guests. Visitors didn’t venture into your kitchen, what mattered was what came out of it. Today, however, kitchens are the heart of the home. Families gather in the kitchen to talk, socialize and spend time together. We often eat in the kitchen, (or an adjoining area) as well as entertain guests. Instead of being tucked away out of sight, kitchens are showcased and blend seamlessly into a dining area or a family room. 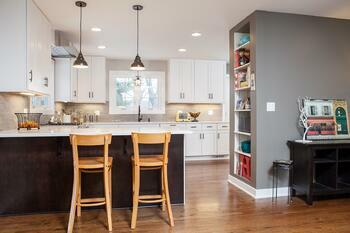 That’s one of the reasons that kitchen remodels remain one of the most popular remodeling projects in North Shore Chicago homes. 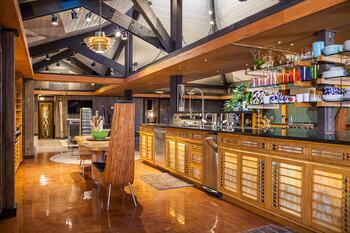 A successful kitchen remodel doesn’t just happen it needs to be created with your specific needs in mind. So what are the essentials for making that happen? Let’s look at a few. It all begins with planning. In order to create a kitchen that meets your needs and fulfills your expectations, you need to decide what those needs and expectations are. Begin your kitchen planning by thinking about how you use your kitchen—or how you want to use your kitchen differently. Are you passionate about cooking? Have you been dreaming about getting more adventurous with your cooking exploits? Are you looking to get in touch with your inner chef? All of these factors will influence the type of kitchen with which you end up. Maybe you do a lot of casual entertaining and want a kitchen that’s open to your family room and has plenty of space for family and guests—without driving the cook crazy. Or perhaps what you’re really after is convenience and functionality. It’s your kitchen. No two kitchens have to be alike. Being clear about how you want to use your kitchen will help ensure that you get what you want. Kitchen design is about a lot more than simply giving your kitchen a face-lift. Sure, you want your kitchen to look great, but it’s really important that you end up with a kitchen that fits your specific lifestyle. That means you’ll want to pay close attention to your kitchen’s functionality. You’ll also want to pay attention to the overall size of your home. The design for a 1,000 square foot kitchen may look great on houzz.com, but what if you don’t have that kind of space at your disposal? Here’s an article that looks at a variety of options related to the actual size of your kitchen. The specific design of your kitchen is absolutely key in order to get the results you want (both aesthetically and functionally). How you go about creating your dream kitchen matters. 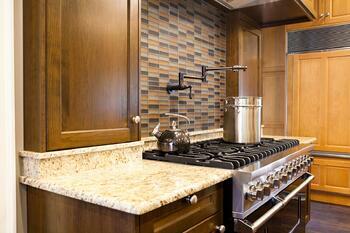 At BDS we follow what’s referred to as the Design/Build approach to creating your kitchen. In short, it means that the individuals building your kitchen are part of the same team as the individuals who design your kitchen. It's a seamless process. Everybody is on the same page. There is no finger pointing or shifting of blame. The designer isn't going to create a design that the builders can't build. That can lead to a better result because important details don't fall between the cracks. It can also reduce the amount of time needed to complete your project. Plus, you'll know your final costs going into the project. Here's a helpful article that goes into more detail about reasons design/build may be a better fit for your kitchen remodel. Naturally, no two kitchen remodeling projects are going to be identical in scope, complexity, or in the materials used. Still, it’s helpful to have at least an idea of what a realistic cost is for the kind of project you have in mind. Here’s a post that looks at three varying scales of kitchen remodel projects for the North Shore area and provides ballpark quotes for each. It even includes a link to downloadable PDF that shows recent home remodeling costs for the North Shore. Being prepared for your kitchen remodel can actually save you a lot of money. The more you learn before you get started, the better chance you have of controlling your costs. Homeowners often make some big mistakes when remodeling that can really blow costs out of the water. Here’s an article that identifies some costly mistakes you can avoid that can really pay off. One thing to keep in mind as you consider the cost of remodeling your kitchen is that cost is only one side of the equation. You’re also adding value to your property. 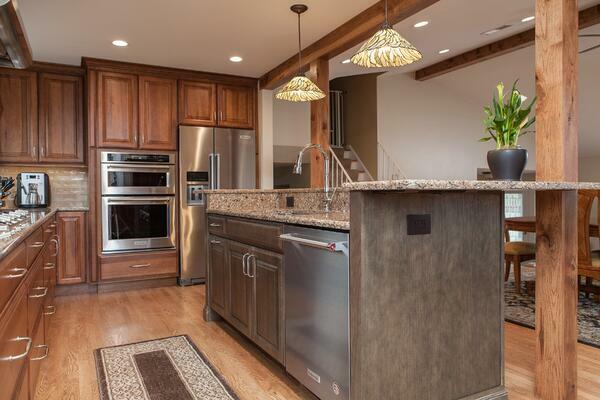 Here's a post that talks about how much a kitchen remodel can add to the value of your home. Having a good idea about the cost of your kitchen remodel is important, but budgeting takes things a step farther. 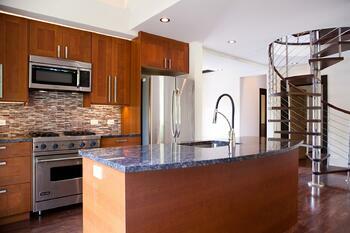 It’s important to have a realistic budget for your kitchen remodel. Budgeting involves taking a serious look at what you can really afford and then having your remodeler create a design that fits your budget. You don't want to overspend (and put yourself under stress). At the same time, you don't want to cut corners just to save money because you'll end up with a result that's less than what you want—and you won't be happy with that. One advantage of working with a design/build remodeler is that your contractor will often have ideas about alternatives (both in terms of design and materials) that will help you get the results you want—without blowing your budget. With a kitchen remodel, the contractor you work with is just as important as the design, the materials, and the cost of the project. You’ll want to work with someone with whom you’re comfortable. It’s essential that you deal with someone who listens to you and understands what you want—and can pass that information on to the individuals doing the actual work. If you don’t have that kind of relationship, it can make the remodeling process stressful. 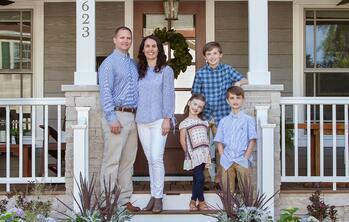 It’s one thing to acknowledge the importance of choosing the right remodeling contractor. But how do you actually go about finding one you feel confident using? What are the key things to look for? This post walks you through some key steps in finding a North Shore home remodeling company you can trust. At BDS we take pride in listening to our clients and then meeting their specific needs. The relationships and the trust we build with our clients is what keeps them coming back to us for additional projects. We’ve talked a fair amount about design and functionality, but we also know that those finishing touches are really important, too. We give those areas the same kind of attention that we give to design and construction. Here are just a few of the areas we focus on—and help clients make smart choices for their kitchens. 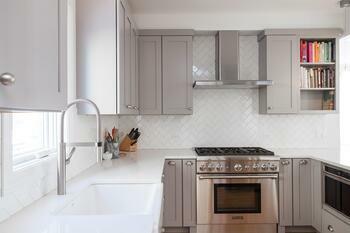 Cabinets: You’ll have a lot of choices when it comes to choosing your kitchen cabinets. Like the rest of your kitchen, your kitchen cabinets should blend beauty and style with convenience and functionality. Here’s an article that explores 7 ideas for beautiful and functional kitchen cabinets that meet your needs and match your sense of style. 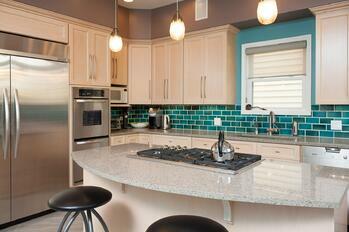 Countertops: The material you choose for your countertops is another important consideration. Once again, you’ll want something that fits your lifestyle and how you actually use your kitchen. But choosing something that’s functional doesn’t mean foregoing stylish elegance. Here’s an article that examines three of the more popular countertop finishes you'll find in higher-end North Shore kitchens. Flooring: It can be easy to focus on your cabinets and countertops when planning your kitchen remodel. But your flooring can really tie everything together. You’ll have a wide range of options from which to choose. Here’s a post that compares a number of those options in terms of look, maintenance, and cost. There are lots of details involved in having a successful kitchen remodel for your North Shore home. We’ve just touched on some of the essentials you’ll want to pay attention to in order to ensure that you’re delighted with your new kitchen—now and for years to come. We invite you to contact us because we’re always happy to talk to you about other specific questions you may have.